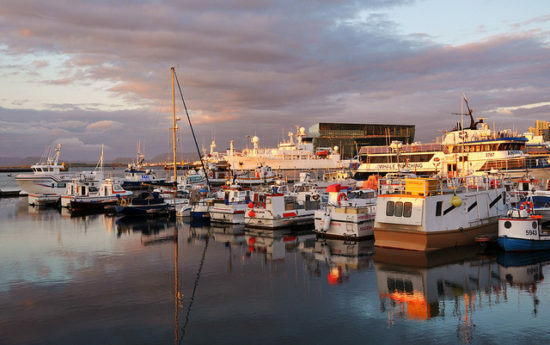 If you can travel light, this is a very good deal to Reykjavik on Iceland’s 2nd largest airline. WOW Air only allows up to 5kilos of free baggage. If you have more, it will cost you an extra $60 CAD per way to check a bag or $120 roundtrip. 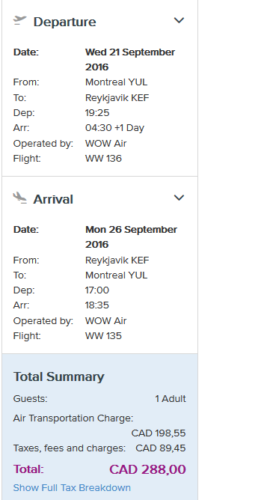 WOW Air is a low cost carrier – they charge for everything from seat assignments to bags to beverages/food onboard. We flew with them last year from Boston to Reykjavik. The experience is okay as along as you understand all their fees. Valid for travel from late September – October.